Astronomically, it’s still winter here in the mid-Atlantic, since the vernal equinox doesn’t happen until March 20 this year. Some people believe in a thing called meteorological spring, which started March 1st*. I don’t believe it. I don’t think Mr. Bluebird does, either. But we both seem to be looking forward to warmer weather, whenever it happens. I wonder if someone at the Eli Lilly company had bluebirds in mind when thinking up a trade name for tadalafil. 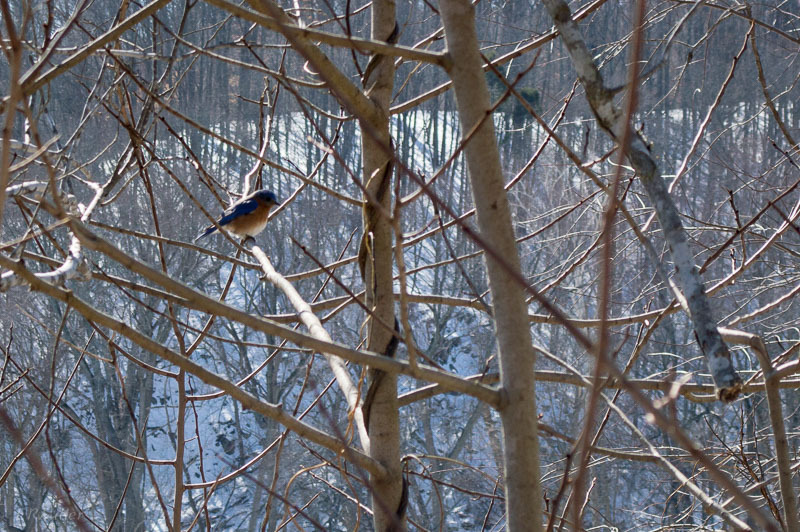 This entry was posted in Uncategorized and tagged bluebird, spring by elizabeth. Bookmark the permalink.